South Africa is filled with amazing, natural sights, such as the endangered penguin colony of Boulders Beach and the beautiful coast of Cape Point. These sights and more are not to be missed when visiting South Africa. Continue reading for more beautiful sights to see in South Africa. Boulders Beach refers to a stretch of beaches and boardwalks where guests can view an endangered colony of African penguins. Large boulders dot the beach and nearby surf, making this sight a rare and interesting treat. Guests can view the penguin colony—which is one of just a few throughout the world—and learn more about these endangered animals and how to help them survive. Cape Point is a popular hiking area for guests to enjoy the beautiful South African coast. The water is clear enough to see sea life swimming beneath the surface. Always inquire about local regulations before hiking to the Cape Point cliffs. When guests visit the Tsitsikamma National Park, they can experience the beauty of the South African coast as well as huge indigenous trees and hiking trails. The Tsitsikamma National Park boasts a suspension bridge and a canopy tour for visitors to learn and experience more of the South African environment. Joining a safari or visiting a game reserve is one of the most popular sights to enjoy in South Africa. The Tshukudu Game Reserve is spread across 5,000 acres, where guests can see the “Big Five.” This popular term refers to Africa’s big game animals: the African lion, African elephant, Cape buffalo, African leopard, and rhinoceros. These animals and more are protected and able to view on safari when guests visit the Tshukudu Game Reserve. 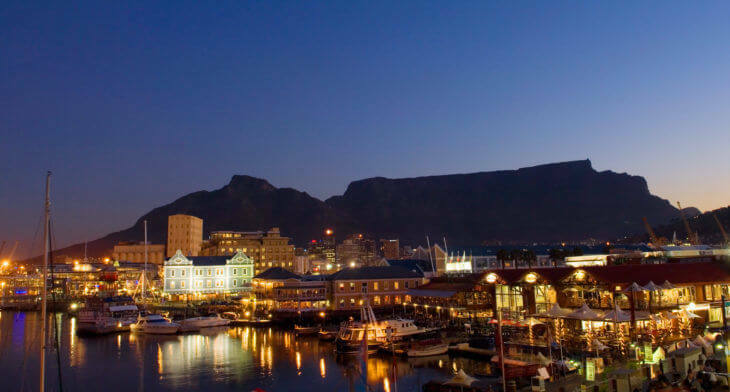 Trust DSA Vacations to deliver an exceptional vacation to South Africa and its many wondrous sights. We create itineraries to match any traveler’s desires. Please call us at 1-800-203-6724 to inquire about our extensive itineraries.